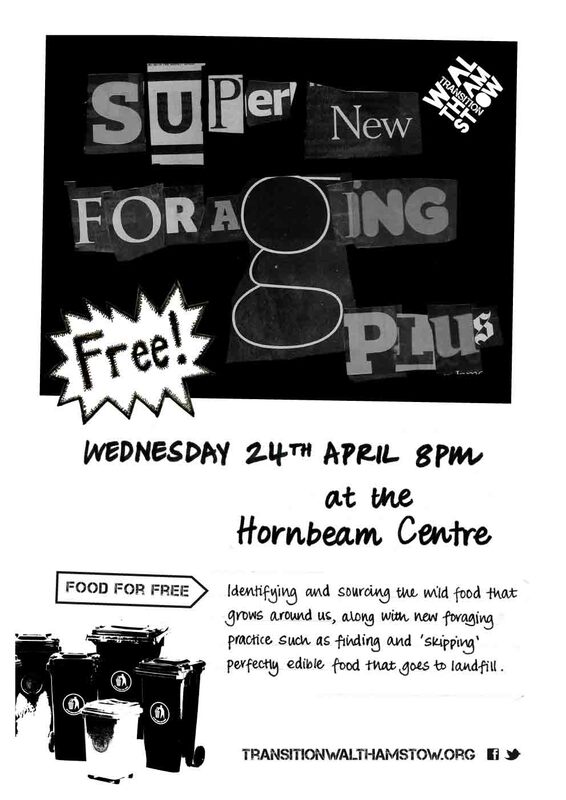 In this month’s free skillshare in the cosy Hornbeam Cafe we will find out about identifying and sourcing the wild food that grows around us, along with new foraging practices such as finding and ‘skipping’ perfectly edible food that will otherwise go into a landfill site. We will be shown and discuss the tips and tricks of foraging: the “wheres”, “hows” and “whys” around it. There will also be an opportunity to find out a bit about what Transition Walthamstow is up to, and add to our ideas for events and projects in 2013. I came to this skills share and it was great. The map of areas to forage was going to be made available so i didn’t bother taking a photo of it at the time. However, I’ve never seen it. Please can you let me know where to find it or send it to me?